. :Arnold SC | Sponsorship Information:. 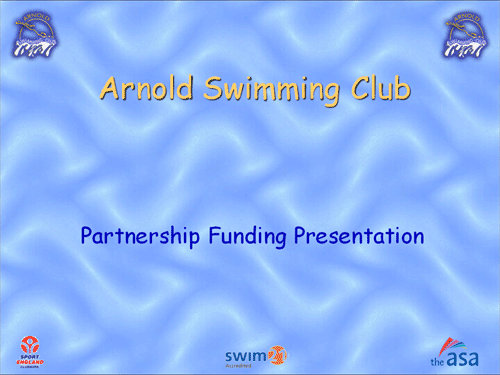 Arnold Swimming Club Are currently looking for an active sponsorship deal to help us run the club. If you are interested in Sponsoring Arnold Swimming Club or would like some more information then please click the "Contact Us" link above or below and direct your questions to "Sponsorship".